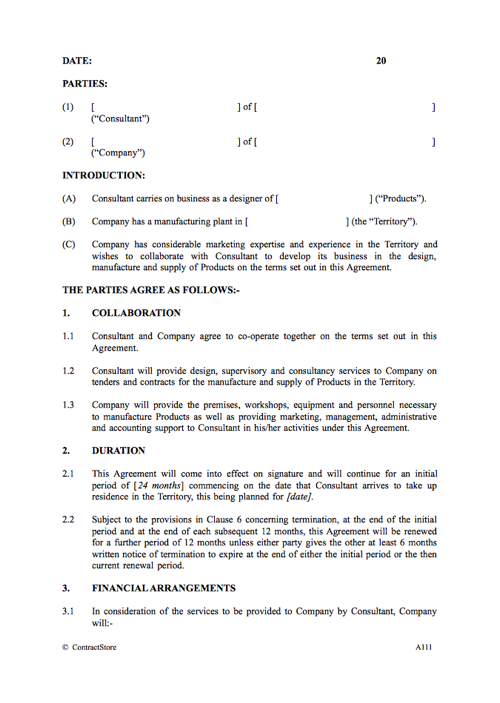 What is this Consultancy Agreement for? 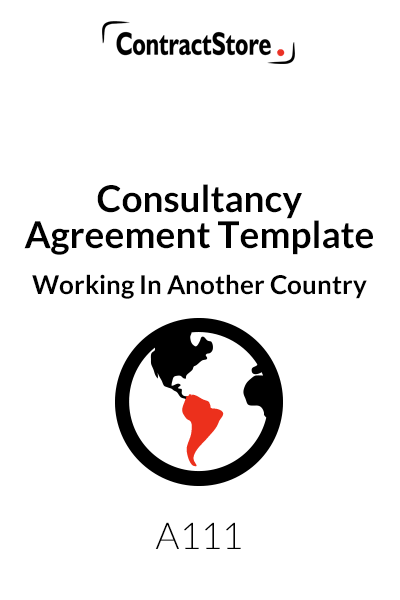 This consultancy agreement template is based on a contract written for a designer who went to work for a manufacturing company in another country. It can be used for variety of appointments of this nature where an individual provides design, marketing or management services to a company. In return the company provides accommodation, salary or fees and a bonus, depending on sales. Financial arrangements. The fees and any bonus/commission need to be set out. Just as important are the arrangements that the employer will make for the individual. He/she will be provided with appropriate accommodation, return airfares for holidays etc. The right package is very important for an overseas appointment. Duration and termination as well as confidentiality, non-competition etc. also need to be covered. Contract author: Lawyer who has a lot of overseas working experience. This Agreement is for a situation where an individual with specialist knowledge of design and/or manufacture of a particular product will go to work for a company in another country. For example, an individual with a jewellery business might go to work for a larger organisation overseas, helping it with its design and manufacture. Finding customers for the company may also be part of the role. Under the financial arrangements contemplated by this Agreement, the individual will receive a consultancy fee plus a percentage of sales and will have air fares and accommodation paid for by the company. Comments on the detailed terms of the Agreement are set out below. DATE: This should be inserted as the date on which the Agreement is entered into. 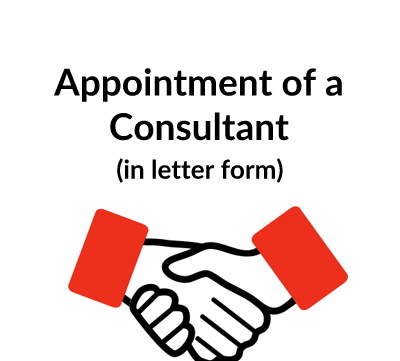 PARTIES: The full name and home address of the Consultant should be inserted as should the name and registered or principal office of the Company. INTRODUCTION: This has some details to be completed in A and B and sets out the background to the transaction. This establishes the relationship between the parties under which the Consultant will provide design as well as supervisory and consulting services to the Company, while the Company will provide the manufacturing base as well as the administrative backup that is required. The Agreement contemplates an initial two year period. This may be extended from year to year with six months notice to be given if either party wants to terminate. A reasonably long disengagement period is probably appropriate in a case such as this. As drafted clause 3.1 provides for the Consultant to receive a monthly fee plus the costs of accommodation and air fares to and from the territory at commencement and termination as well as a holiday once a year. Clause 3.2 deals with the question of residence visas and clause 3.3 provides for the Consultant to receive commission as well as the basic consultancy fee. The calculation of the commission could be by reference to the gross sales of products or the net figure after deducting agreed expenses. From a Consultant’s point of view, commission by reference to gross sales is probably easier since the net basis opens up the possibility of argument as to what deductions should properly be made. Clause 3.4 deals with the timing of commission payments. Clause 3.5 covers insurance – since there is always a potential for third party claims, insurance considerations need to be addressed. The Agreement assumes that the Consultant will participate in the management process even if he/she will not be a direct employee of the Company nor be a member of the Board. Because of the commission arrangements, it is clearly useful for the Consultant to have the right to see the management accounts as well as audited figures. It is always useful to incorporate a clause which gives each party the right to terminate the Agreement in particular circumstances. Here we have confined those rights to a material breach of contract by the other party or insolvency. A “material” breach is not easy to define but it is more than a minor breach – e.g. failing to turn up for work or failing to make one payment on the due date. Either party can terminate on 6 months’ notice under clause 6.2, at any time, which reflects the earlier provision covering the duration of the Agreement. Where appropriate, this allows the Consultant time to maintain his/her other business interests as well as to introduce other business to the Company – in which case there will be a commission, perhaps at a higher rate than the commission on products which are designed by the Consultant for the Company. 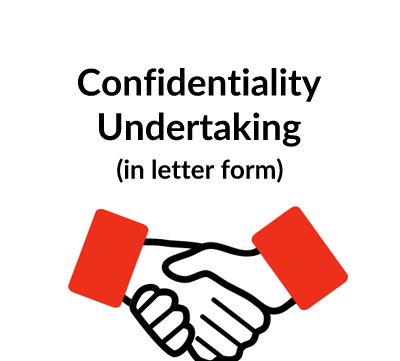 Since the Consultant will have access to the Company’s accounting records and processes, a confidentiality clause is advisable. Clause 8.2 also contains a restriction on the Consultant from competing in the Territory with the Company after the Agreement is terminated. Competition law is a complex area and legal advice should be obtained on the effectiveness of such a clause. This is a formal provision and clearly no assignment of rights is appropriate in an Agreement such as this which is of a somewhat personal nature. The provisions of clauses 10.1 and 10.2 are somewhat standard “legal boilerplate” provisions. Especially given the fact that the Consultant and the Company are based in different countries with different legal systems, a dispute mechanism which is as neutral as possible is advisable. Partly because of the personal nature of the business, we have provided for the possibility of mediation and, in the case of a dispute over accounting matters – this is most likely to relate to commission payment – reference to an independent accountant as an expert who can give a decision which is binding on the parties. Any major dispute which cannot be resolved is to be referred to arbitration in a neutral country. Clause 11.5 states the governing law and there could well be some discussion on this matter since both Consultant and Company is likely to want to have the law of their particular country.